Kim Whan-ki’s 1972 panting “3-II-72 #220” was sold for 8.5 billion won ($7.87 million) at Seoul Auction’s Hong Kong sale Sunday, topping all previous auction records set by Korean artworks, the auction house said. The sale of “3-II-72 #220” also broke the record set last year by another of the celebrated Korean abstract painter’s works, “Tranquility 5-Ⅳ-73 #310,” a painting that features blue dots and a white-edged square. “Tranquility 5-Ⅳ-73 #310” fetched a record-high price of 6.55 billion won at K Auction at the time. Including “3-II-72 #220,” the nation’s most expensive artworks are all by Kim. 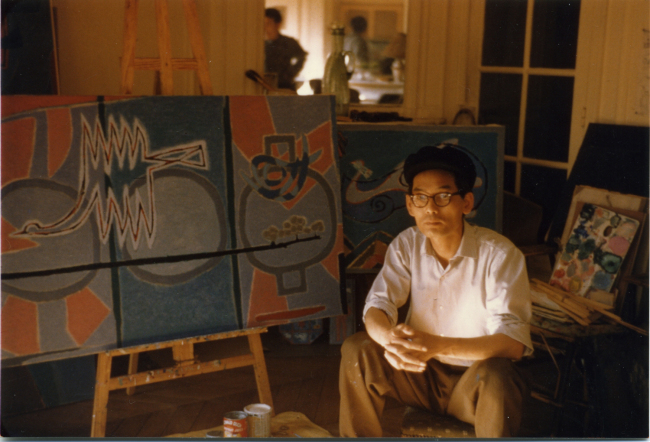 All of them date back to the time Kim was working in New York, between 1963 and 1974, a period when his work become more abstract. “3-II-72 #220” is Kim’s 220th work -- since he started to number his works in 1968. He started to paint it on Feb. 3, 1972 and completed it on Feb. 9. The painting’s composition can be largely divided into three planes, differentiated by the directions of dots. Kim’s 202-by-254-centimeter painting is covered mainly with red dots, a rather uncommon color for the artist, who is well-known for his use of blue. 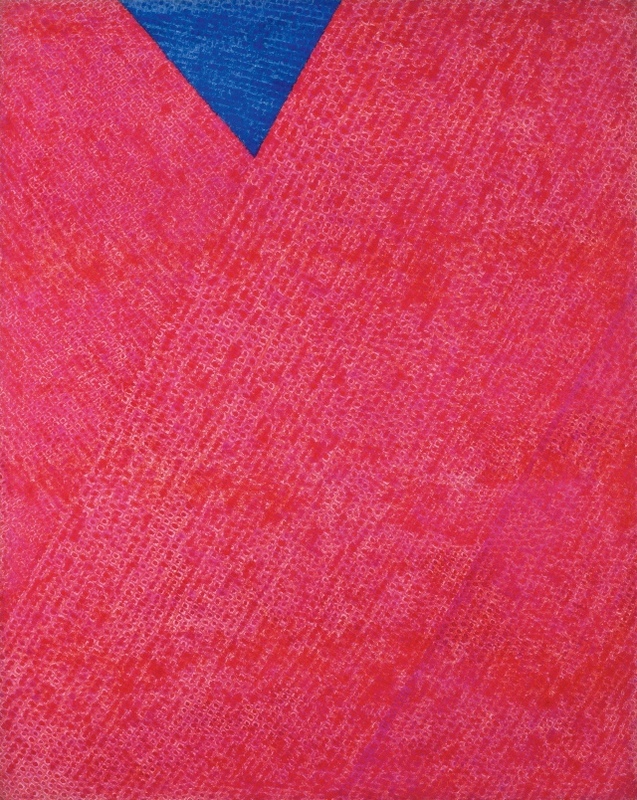 In this painting, there is only one spot for blue, an upside-down triangle positioned at the top of the canvas. It is believed the color Kim used is rose madder, dark red oil paint that has a high degree of transparency, given that Kim wrote “Rose Matar” at the end of his diary entry for the day he began the painting. The masterpiece’s new owner, who will pay nearly 10 billion won including fees, was not immediately identified.